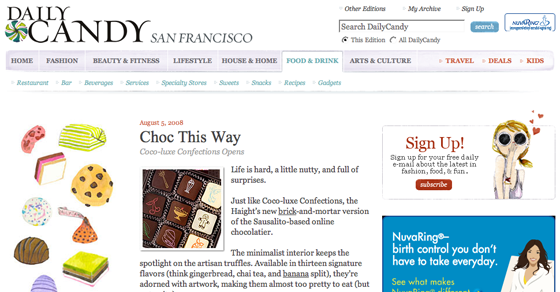 Silicon Alley Insider is reporting that Comcast has bought newsletter service DailyCandy for an unconfirmed $125 million. The site caters to women interested in fashion, food, travel and other cosmopolitan topics. Comcast apparently beat out Viacom with its willingness to pay $5 million more than Viacom’s offer of $120 million. Bob Pittman of Pilot Group Ventures, the holding company of DailyCandy, says the service was expected to hit $25 million in revenue this year with an EBITDA of over $10 million. DailyCandy is understood to have been on the block for years, with speculation from just last month that it would sell for $75 million.